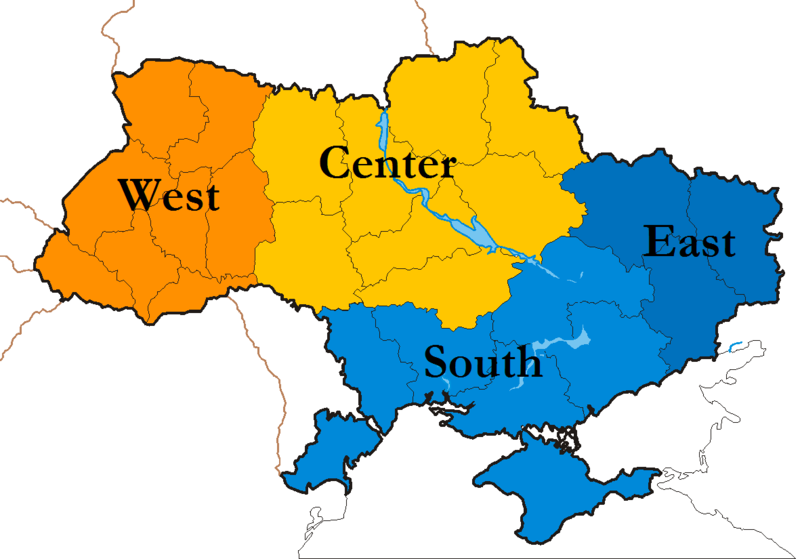 The political situation in eastern Ukraine continues to deteriorate, and at this point there appear to be three possible outcomes: (1) a successful effort by Kyiv to suppress the pro-Russian forces in the east; (2) civil war – that is, large-scale and sustained violence that last months and possibly years; or (3) a Russian military intervention. In my view, the least likely outcome is the first – rapid restoration of Kyiv’s authority with a minimum of violence. I would put the odds of that at perhaps 20 percent. I also think the second option is relatively unlikely, not because a vigorous effort by Kyiv to retake Donetsk and Luhansk would not be met by sustained resistance and probably by large-scale defections among its security organs – that is, in fact, what I think would happen. Rather, we are not likely to see a full blown civil war because Moscow will not let it come to that – Putin will send in his troops to “restore order” before we reach that point. So I would put the odds of the second scenario at 25 percent. Which means that in my view the odds of a Russian military invasion and occupation of at least part of eastern Ukraine at around 55 percent. Given all this, I think Kyiv’s best strategy – assuming this is politically possible – is to do everything it can to keep the uprisings limited to Donetsk and Luhansk. That will mean (1) having the Ukrainian army set up roadblocks on highways in and out of the Donbas; (2) taking whatever steps it can to support loyal security forces in Dnipropetrovsk, Kherson, and the other southern and eastern oblasts to keep the Donetsk/Luhansk scenarios from playing out there; and (3) focusing above all on securing the flanking regions of Kharkiv, the eponymous capital of which is Ukraine’s second largest city, and Odesa, which is of critical strategic and economic importance to Ukraine for many reasons, but above all because it provides access to the Black Sea. If Kyiv manages to limit the uprisings to the Donbas – which is no sure thing – and if it does not use force against the many heavily armed and impassioned pro-Russian militants in the east, then it is at least possible that Kyiv can eventually convince the citizenry of these two regions to restore order and put forward regional authorities who can work out some kind of compromise with Kyiv. But if it turns out that, contrary to what recent and past surveys in the east suggest, there is majority support for a sovereign or independent Donbas Republic, or even for annexation by Russia, it is worth considering whether Ukraine would be better off allowing Donetsk and Luhansk to go their own way. Although they are relatively wealthy by Ukrainian standards, their economies are also very integrated with Russia’s, and as centers of heavy industry they are likely to suffer most from the structural adjustments that will come with European integration. Russia will in any case inherit the economic burden not just of Crimea – which is going to be considerable – but also of an unstable and chaotic Donbas – the “if you break it, you own it” principle. This does not mean that Ukraine or the West should ever accept the legality of unilateral secession or Russian annexation. But as in Crimea, the least-worst outcome might be to stand on principle but refrain from using force where doing so will only make matters worse. There is yet another dilemma facing Kyiv as it reacts to the crisis in the east. If it tries to contain the uprisings to Donetsk and Luhansk, the will to fight of the Ukrainian forces currently deployed along the Donetsk/Luhansk border with Russia will be undermined. Already Ukraine’s forward deployed military assets are very vulnerable to rapid destruction should Russia invade. This kind of vulnerability, coupled with a seemingly weak response to the Donbas separatists, only increases the risk of mass desertions and rapid surrenders if Russia’s invading force pours across the border. In short, Kyiv is between a rock and a hard place, and its challenges are likely to get worse rather than better. To date, Kyiv has been very restrained in its actions, if not always its rhetoric, in the face of enormous provocation by Moscow. But I believe at some point soon, it will, like the Georgian government in 2008, take the bait and decide that it has to use significant force against the separatists, which will likely provoke even more violence in the east and a Russian intervention of at least the Donbas and probably beyond.